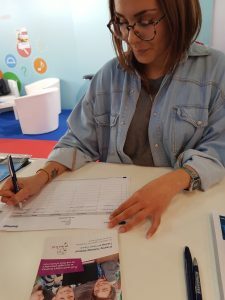 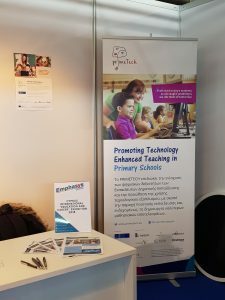 Several important stakeholders, key people and official bodies, as well as parents, teenagers, teachers, youth workers and many others visited Emphasys’ booth and were informed about the ‘PRIMETECH’ project’s aims, objectives, products and expected outcomes. 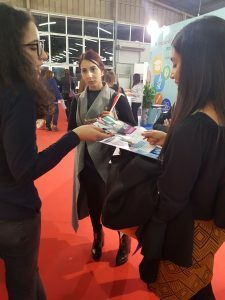 During the International Fair, on the 24th of February, the project ‘primeTech’ was presented individually on a specific time and has attracted the attention of interested people. 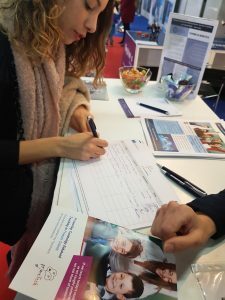 The Emphasys team disseminated the project using all the relevant material that were designed for the needs of the fair, such as banners, leaflets presentations, petition lists etc.